Avocado Facts; Will They Make Me Fat & How Many Can I Eat? There are many foods that exist which cause genuine confusion amongst the health conscious. Especially when transitioning from an unhealthy diet to a healthy diet, when trying to lose fat, control blood sugar and support cardiovascular health. A food I often get many questions and concerns about is avocados. How many can I have in a day? Is it alright to consume when on a fat loss program? Will they make me fat? What will they do to my cholesterol levels? Before we flesh out these concerns, let me introduce our special dark green leathery skinned friend. Did you know that avocados are actually large berry fruits that were aptly named “Alligator pears” due to their green, bumpy skin before it was christened the “Avocado”. The name Avocado hails from from the Aztec word “ahuacati”, meaning “testicle tree” which is kind of fitting as the ancient Aztecs considered this fruit, important for fertility and the Mayans used it as an aphrodisiac. Avo’s are one of the few fruits rich in healthy fats. It is particularly rich in monounsaturated fat (MUFA). A great energy source for the body and one that supports heart and brain health amongst other things. The healthy fat content in avo’s help absorb nutrients from other foods that need fat for transportation throughout the body, such as vitamin E, carotenoids, lutein and chlorophyll. Consuming avocados with carotenoid rich foods such as carrots helps enhance carotenoid absorption. Adding avo to your salads can increase your absorption of carotenoids up to five times then salads without. Carotenoids protect us from free radical damage and all the problems that may arise from it, such as inflammation and poor immunity. Avos are laced with many essential nutrients such as potassium, vitamin E, carotenoids, lutein, B vitamins (B5, B6), vitamin C, vitamin K and folate which contribute to deliciously vital health. It’s lutein levels are higher than most fruits. Lutein is a potent carotenoid that prevents degenerative conditions of the eye and improves overall eye health. Lutein may also reduce the risk of cancer and type 2 diabetes. Avos contain more than twice the potassium of a banana. Potassium is important for controlling the electrical activity of the heart. Potassium also helps your kidneys filter blood and supports the health of bones and muscles. The greatest concentration of carotenoids or plant pigments are located close to the avo skin, in the dark green flesh. So be mindful of how you de-flesh this amazing fruit. Guidelines on how to de-flesh your avo well without losing it’s beneficial compounds are found here. Avos may help you maintain or reach a healthy weight. They are satiating, meaning they help you feel full and satisfied for longer, reducing the likelihood of unnecessary overeating. In fact, adding half an avocado with lunch has been shown to reduce hunger and improve satiety for up to 3-5 hours after consumption. Avos may help regulate blood sugar levels. Now who wouldn’t want less food cravings, a healthier, stable mood and improved sleep. Just a few benefits of balanced blood sugar. Avos are loaded with more fiber than most fruit. Most of it being insoluble. Think regular, healthy bowel movements, removal of toxins, balanced blood sugar and less cravings. Avos are very low in sugar/fructose. Unlike many of it’s fruit buddies. The primary sugar found in avos is D-mannoheptulose which may actually support blood sugar control and weight management. MUFA rich diets help protect against belly fat and diabetic health complications. 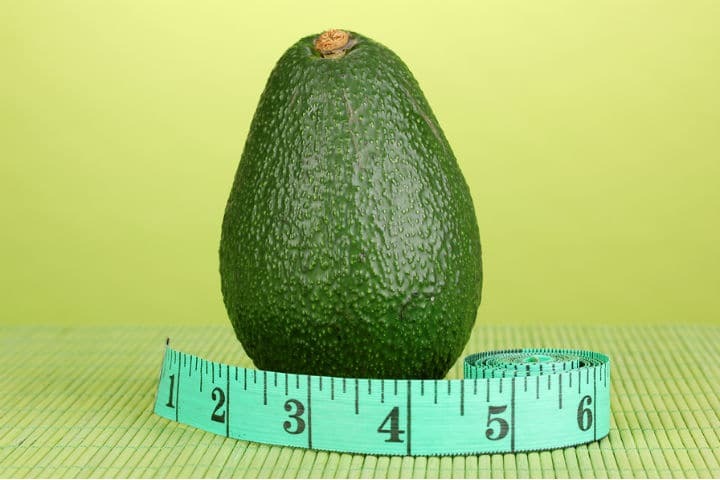 Avo’s do not interfere with weight loss goals when consumed as part of a weight loss diet. Avocado consumption is associated with reduced risk of metabolic syndrome. A collection of conditions which raise your risk of heart disease and diabetes. If you are struggling with weight loss, try taking our quiz here. It’s MUFA content helps maintain healthy cholesterol levels. In fact those who consumed a high MUFA diet from avos for a week experienced a decrease in their LDL cholesterol and triglycerides and an increase in the often labelled “good” cholesterol HDL. Avos may prevent the production of inflammatory substances when eaten with meals such as burgers. Studies suggest that eating avocado with inflammatory meals can reduce the after effects commonly experienced such as narrowing of blood vessels and inflammation. Now this is not your green light to go crazy on burgers and fries. Just FYI. Healthy fats nourish the brain and heart and can help prevent Alzheimer’s, dementia, other degenerative brain disorders and heart disease. David Perlmutter, author of Grain Brain reports that the brain thrives on a fat-rich, low carbohydrate diet and that high levels of healthy fat consumption was found to be associated with a 44 percent reduction in risk for developing dementia. Avos are abundant in antioxidants and bioactive compounds such as carotenoids; lutein, zeaxanthin, alpha-carotene, beta-carotene and oleic acid and are one of the richest sources of vitamin E. These compounds are well known cancer fighters and may reduce the risk of cancers such as those of the prostate and breast. As mentioned the monounsaturated fat found in avos improve the absorption of these important carotenoids. Vitamin E has been shown to slow down or stop the reproduction of cancer cells. Natural sunscreen; the fat content in avos may offer protection from harmful sun damage, radiation, inflammation and skin cancer if consumed before exposure. The flesh and the oil are moisturising and nourishing for the skin. How Many Avocados Can I Eat? As you may have guessed I am a huge fan of the avo. In my opinion all of the evidence I have come across welcomes daily avo consumption as part of a healthful diet. As a general rule I think the inclusion of one small avocado or half a large avocado daily is a great addition to the diet of most people to promote optimal health, maintain a healthy weight, support blood sugar levels and support healthy brain and heart health. Avocados should not be feared. Consider them creamy, delicious, protective and preventative powerhouses to be thoroughly enjoyed. I certainly do and consume at least half an avo every day, whenever possible. In a smoothie to add healthy fats, fiber and a creamy texture. Try this favourite green smoothie of mine. 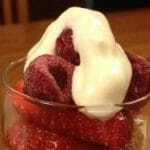 In raw desserts such as healthy homemade ice creams or mousses. Chopped and chucked onto a salad. Blended with olive oil, himalayan salt, pepper and turmeric and made into a healthy anti-inflammatory dressing. Made into healthy dips and spreads. Blended with coconut cream to make whipped cream. Side note: Avos can get a little pricey but do not fear if you can not afford to buy organic. Avos have tough,thick, protective skins which help to prevent pesticides and other chemicals from entering and contaminating its flesh. More on organic versus non organic fruits here. love, love love avo. I am like you…1/2 a day in a smoothie or in my salad. Love avocados! I plant the seeds and they actually grow. Have 10 plants now. I use avos on salads, morning smoothie with coconut milk, eat it on it’s own and spread on toast.